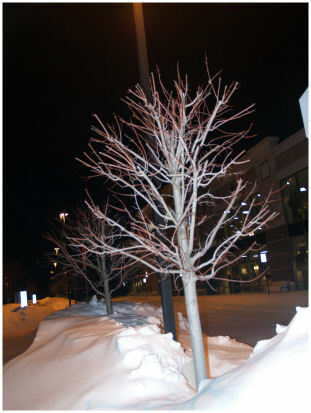 Too often, if by chance, trees are planted correctly and they survive - they are neglected of pruned incorrectly. Here are some examples. 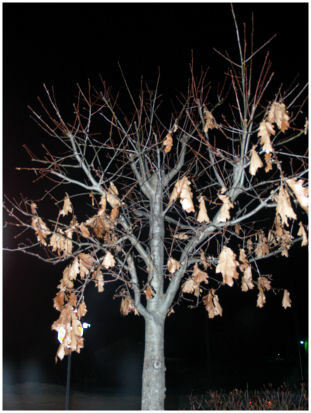 Note: We are contacting those responsible for these trees and offering to do a pruning class and make educational video's on site on how to correctly prune these trees that have been neglected for many years. Usually one of two things happens. 1. 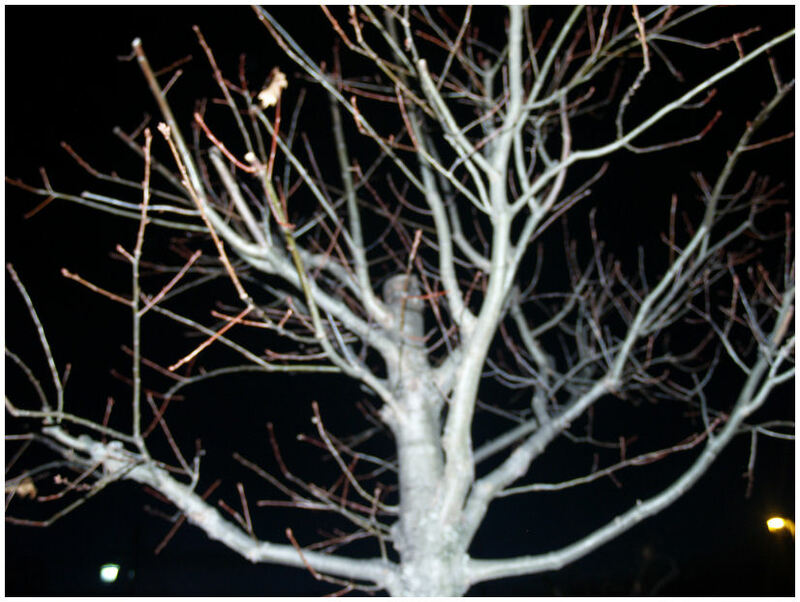 Nothing, the trees continue to grow and self wound until they fail mechanically and are removed. 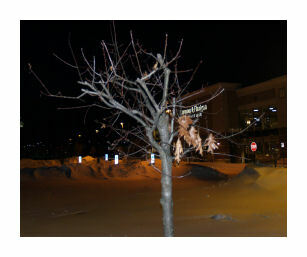 A short lived unsightly tree is the result. 2. Someone who means well, who does not understand dose, timing and targets will attempt to help theses trees and the result is a mutilated tree. 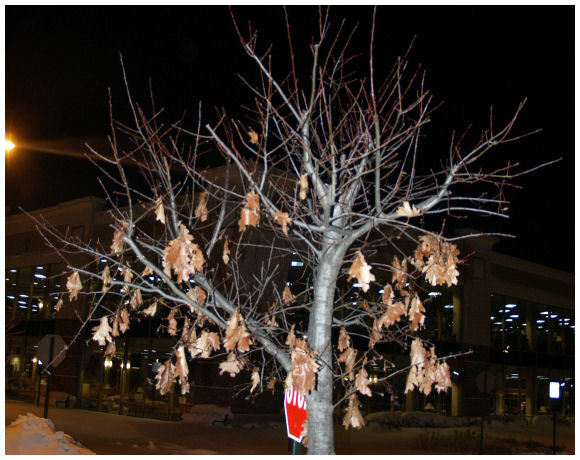 The result is a tree placed in a predisposition for insects as well as disease and other secondary agents. Then treatments follow to get rid of the signs (insects) that there is a problem. 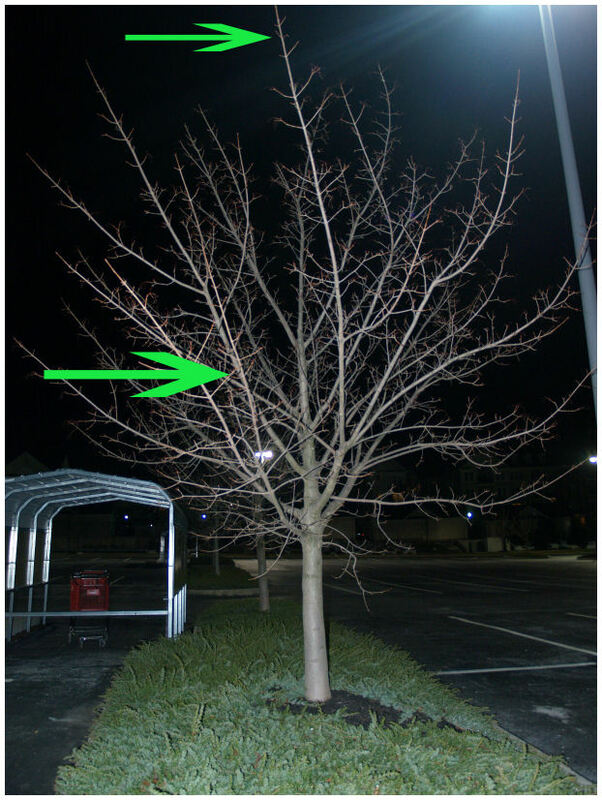 Here is a tree with the remains of "torture" of wire in a hose (red arrow). This is the advanced stage of self wounding. It will not be long until one of these two leaders fails. A tree requires support on the back side of a lean. This tree has a wound which is weak. The next pictures will grow into this form if pruning is not performed correctly soon. This pruning would be best addressed within the first five years of planting. We suggest to wait until after the first growing season before begining training cuts for framework. 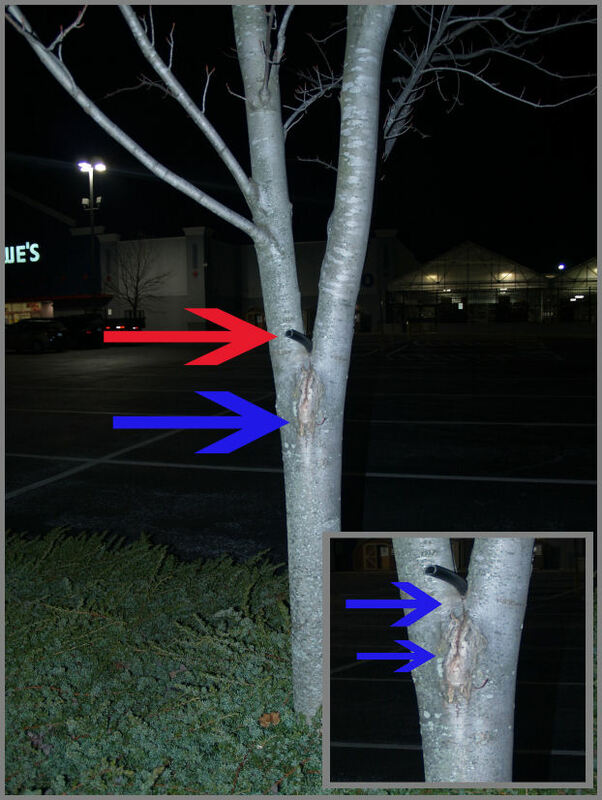 This tree here will self wound itself in at least 6 locations resulting in many weak unions just as in picture #1 (blue arrows). I.e., if corrective pruning is not correctly performed immediately. 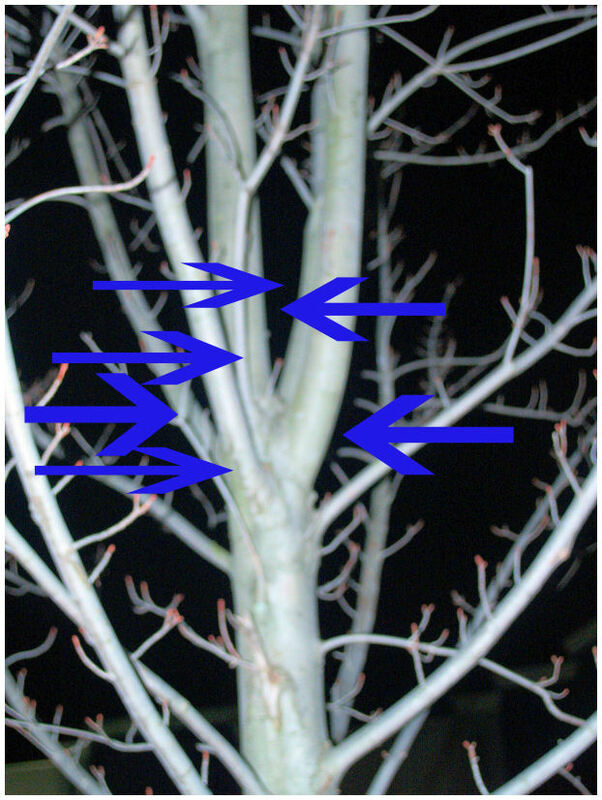 This tree will also self wound (blue arrows). 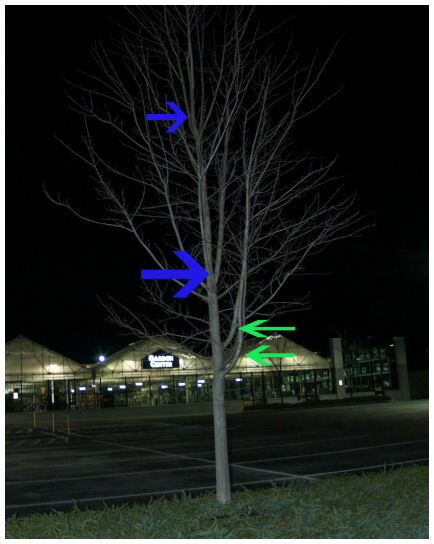 Also these two branches (green arrows) have grown into codominant stems and would be best if removed over a three year period. 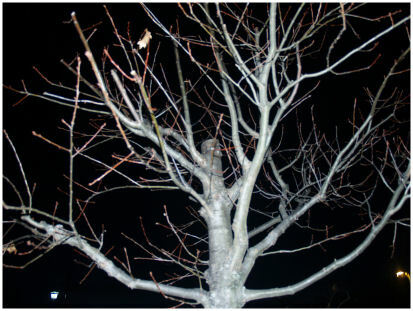 If lower branches on young trees are removed "correctly" over a three year period, this will increase the strength of the trunk. I am hoping this company will allow me to make educational video's as well as offer pruning classes to local contractors on how to best address these issues. Horrifying result - of people who do not understand dose, timing and targets. I hope I do not have to explain how injurious this type of pruning is to trees. These trees have had their DIGNITY REMOVED! THIS IS A CRIME AGAINST NATURE. We love to torture. I hope to make some video's on the trees in the first section.